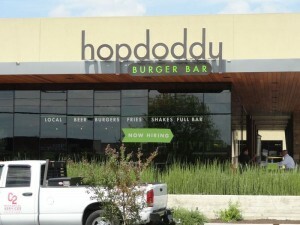 Hopdoddy’s Burger Bar north location on Anderson opened Monday and according to this article, it’s being well-received. There was a 3-hour line out the door for its first lunch. You can find out more about the Hopdoody’s on it’s facebook page here.